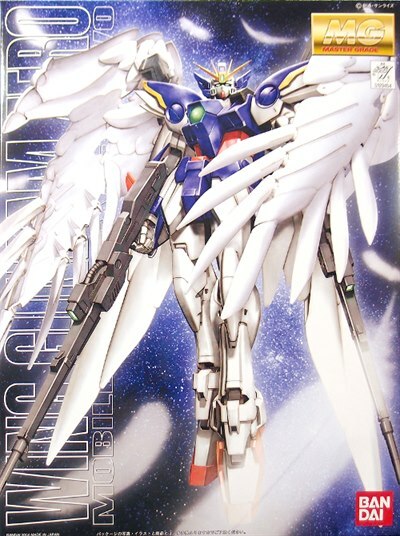 The XXXG-00W0 Wing Gundam Zero (aka Wing Zero) is a mobile suit that appears in Mobile Suit Gundam Wing and its sequel OVA/movie Endless Waltz. Though having many pilots during its lifetime, the unit was most famously piloted by the series main protagonist Heero Yuy. 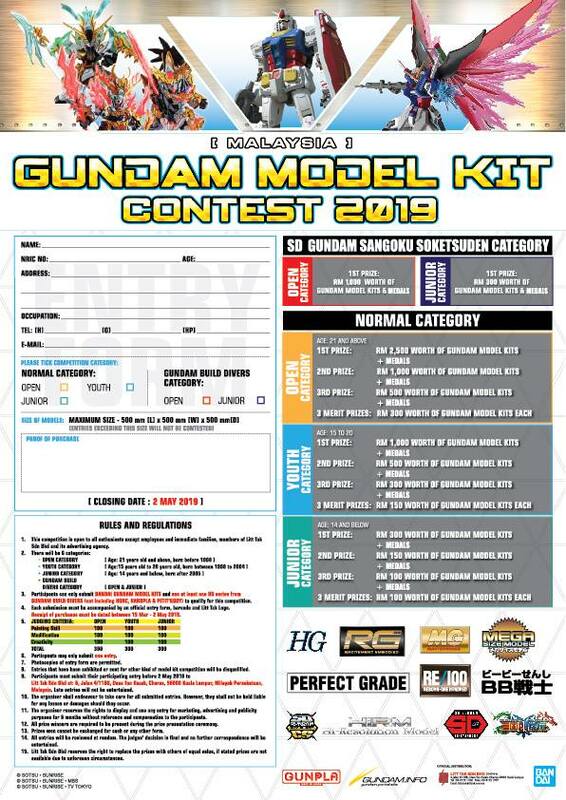 Wing Gundam Zero was designed by the five engineers fifteen years prior to the events of the Eve Wars, the Wing Zero is the ancestor of the five Operation Meteor Gundams (Wing, Deathscythe, Heavyarms, Sandrock, and Shenlong). 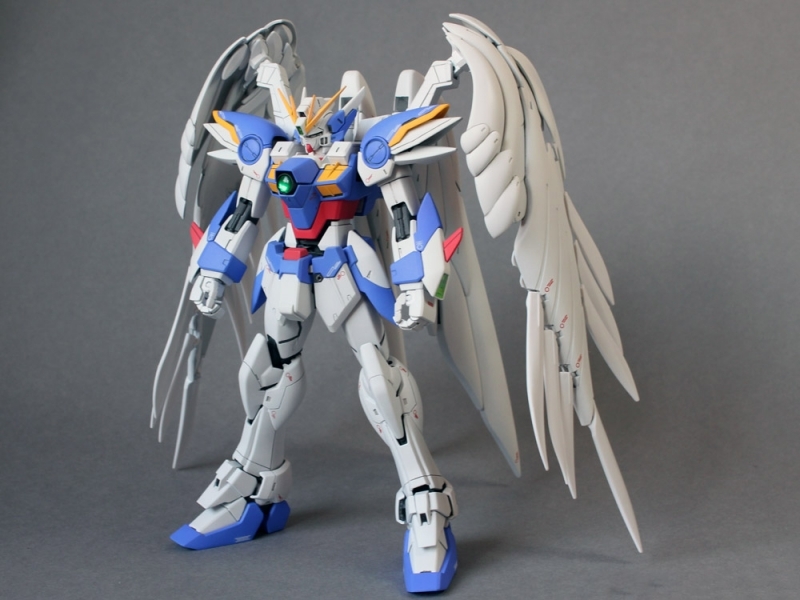 Designed with "Perfect Victory" in mind, it boasts exceptional abilities and is one of the two suits which utilize the ZERO System (the other being the Gundam Epyon), but because of this dangerous mental interface, it was kept hidden away until Quatre Raberba Winner desperately built it following his father's death. 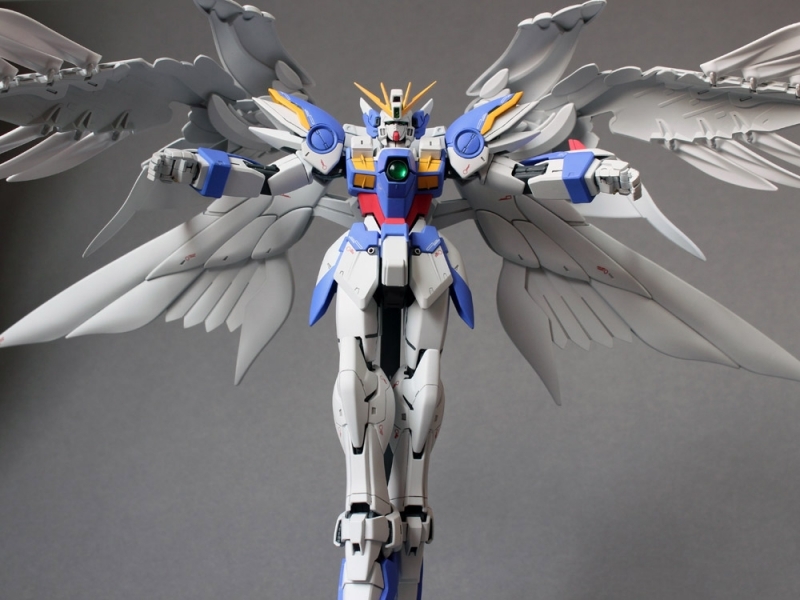 Like the Wing Gundam, it can transform into a high-speed flight mode dubbed "Neo-Bird Mode." 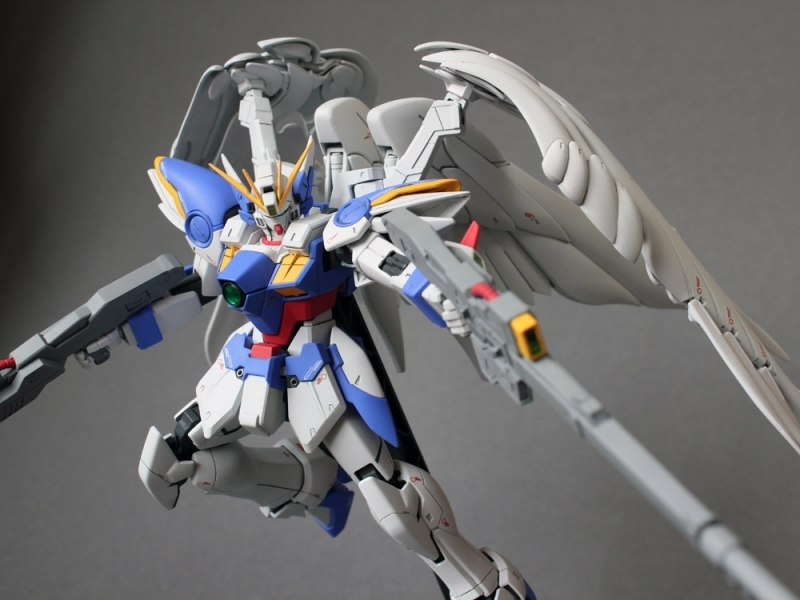 Further, its twin buster rifle has more than twice the output of the Wing Gundam's buster rifle, giving it enough power to destroy an entire space colony or resource satellite in a single shot. It features hidden thrusters in the shoulder armor, where the armor splits open to reveal the nozzles. 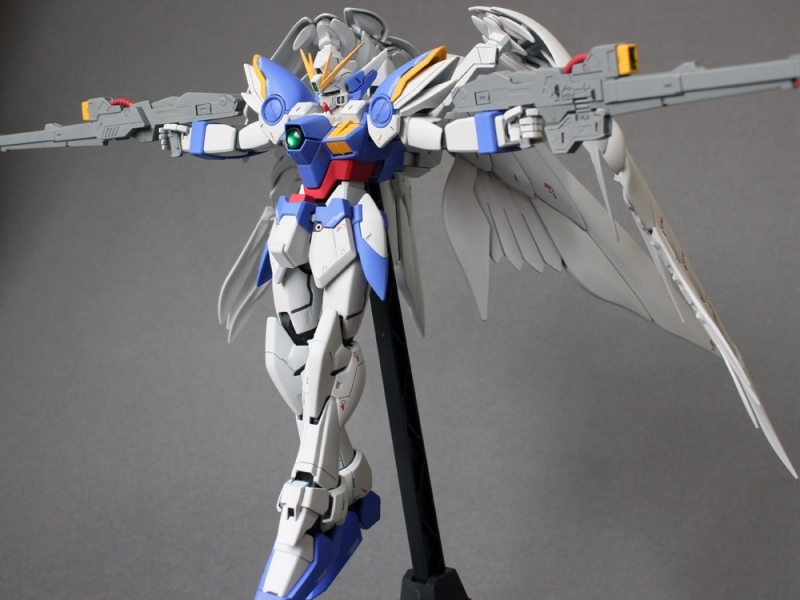 The feet also house powerful thrusters in order to give the Neo-Bird Mode extreme speed.